Metal Vs. Plastic for Custom Parts Cleaning Baskets: Which is Best? Every day, manufacturers throughout the world work to make sure that their products are ready for shipping to their final destinations. In many manufacturing plants, this means putting manufactured parts through cleaning processes to remove any stray dirt, debris, or sludge that the manufacturing process may have left on the parts. To this end, manufacturers use a variety of specialized parts cleaning machines, from standard parts washing machines, to ultrasonic parts cleaning devices, to vapor degreasers and more. Each of these cleaning devices have one thing in common: they need a specially-designed parts cleaning basket to safely hold parts through the cleaning process. The overall strength of plastic degrades much faster than wire mesh or sheet metal when ventilation holes are added. Many metals can be bent or reshaped without losing as much strength as plastic materials. Considering the ventilation needs of most parts cleaning baskets, this makes metal a much more attractive material option than plastic for a cleaning basket design when the parts are heavy. Many plastics are specialized for resistance to specific chemicals. However, most plastics cannot take submersion in strong acid or alkali solutions very well. Plastic baskets, once corroded, decay quickly and will soon be rendered useless. The corrosion resistance of metal varies greatly based on the alloy. For example, regular iron or plain carbon steel typically has poor corrosion resistance, and will rust quickly when exposed to chemicals. On the other hand, many stainless steel alloys have incredible corrosion resistance, even in total submersion applications. Here, the advantage depends on the specific type of plastic or metal you select for the basket, and the specific chemicals you use. For most high temperature applications, you wouldn’t even consider using a plastic basket. Why? The operating range of most plastics is typically between -60 °F and 250 °F (-51C and 121 °C). Steel, on the other hand, is typically good for temperatures between -150 °F and 1,600 °F (-101 °C and 871 °C). In short, steel will be able to take temperatures up to six times hotter than plastic without it affecting the strength of the steel. 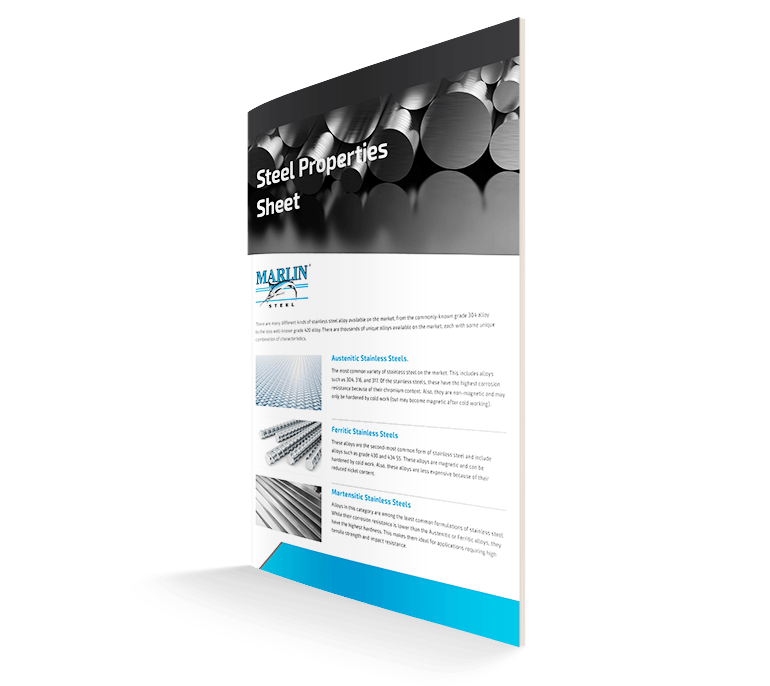 Certain high chromium and nickel-alloyed steels can even resist scaling and retain the majority of their tensile strength at high operating temperatures. Plastics put in the same environments would simply melt like candle wax. Overall, steel is much easier to clean than plastic. Plastic has a tendency to absorb some chemicals such as water, oil, grease, and even solvents, which results in some discoloration of the plastic. 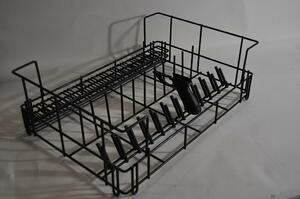 This can even compromise the cleanliness of the parts cleaning basket, as chemical residue continues to build up. The residue can even be transferred to the parts that are being cleaned. Steel doesn’t stain as deeply as plastic polymers, so it’s much easier to clean and sanitize. One area where plastics excel over metals is in their ability to absorb impacts without damaging parts. The surface hardness and tensile strength of steel might make this material much tougher than plastic. However, these characteristic also make steel tougher on parts than most plastics. Because many plastics are soft, they are less likely to scratch a part if the part is rolling or shaking around in the basket. One thing to keep in mind, though: a steel basket can always be covered in plastic to gain the benefits of both materials. For example, if a steel parts basket needs to be used on ultra-delicate parts, the basket can be given a thick coating of soft PVC to reduce the chances of parts getting scratched. The cleaning container retains all the structural strength of steel, but is as gentle to parts as any plastic basket. Overall, metals such as steel make for a better long-term investment than plain plastic when it comes to industrial parts washing baskets. When you factor in the total lifecycle costs, including tooling and the useful life of the basket, stainless steel can actually have a lower total operational cost than plastic over time. In most industrial applications, metal just makes more sense than plastic for a parts cleaning basket.